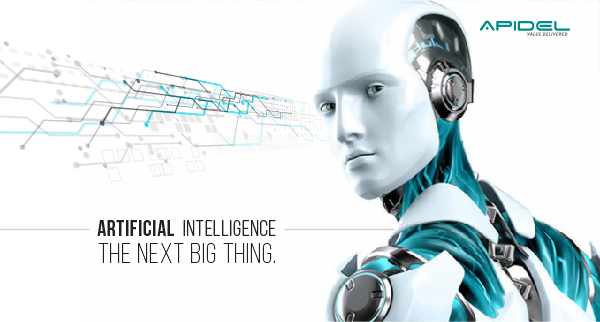 Artificial Intelligence The NEXT BIG Thing! Artificial Intelligence: as Impactful as the term sounds, so are its effects, which are spreading globally. Artificial Intelligence also referred to as (AI), and sometimes christened as Machine Learning, has revolutionized the world with its presence, even though it has been present for more than 60 years. It’s only until recently that AI has made its impact known to almost every industry known to man; Example: Healthcare, Law Enforcement, Aerospace, Manufacturing, Human Resource & even Staffing and Recruiting Firms. AI is the future and it’s here to stay for Long. Who could have thought that mankind was capable of such miracles. We have evolved big-time, from an evolutionary point of view: from learning how to grow crops, to emerging an era of computers and machine learning. AI uses computer systems to perform tasks that require human understanding/intellect. AI implements Learning Ability, Reasoning & Self Correction. AI is integrated into a variety of technologies. 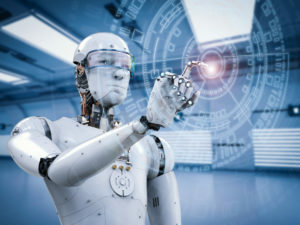 Automation – The application of AI enables control of various devices without the want of human assistance; Example: Running boiler plants, heavy machinery, Self-Driving cars, and Manufacturing Companies. Machine Learning - A process which uses computers and software’s to perform tasks which are similar to the human brain. AI today is being used as a virtual personal assistance; Example: Siri, Alexa & Google. Even your GPS is a part of it, along with video surveillance and many other sectors. Natural Language processing – AI helps with the interaction of computers with the human language, i.e., how to program a computer to analyze the Language Data; a.k.a. speech to text. Robotics - This field surrounds everything that previously required a human presence to perform tasks like designing, programming, and engineering. AI within Robotics makes possible the processing of large data, and it is learning and evolving with marginal human interaction. Mentioned above are some of the technologies on which AI has made a tremendous impact, but it does not stop there. AI has diversified its way into many areas. 1) AI in Healthcare: Many industries have been swamped with technologies, and healthcare is no exception. The chief areas of developments are: improving patient’s outcome & reducing costs. Companies are now using machine learning to make better and faster diagnosis of disease than humans. AI also uses applications such as Chatbots, which is an online program that supports customers to ask questions, book appointments, take follow-ups and medical feedback. 2) AI in Education: AI can help in the grading system, thus saving time. Students can be helped by appointing AI Tutors which assist them to stay focused. Similarly, AI can also spare more time for the students by being available 24/7, which could be a hard task for Humans. 3) AI in Law: AI can help in the documentation process, shifting through documents, various laws, and rules which can be a mammoth task for humans, thus saving time. 4) AI in Manufacturing: In the industrial sector there is an option to incorporate robot workers. Industrial robots can be great assets, as they handle multiple tasks in comparison to humans. 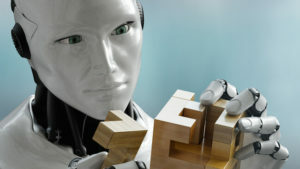 So, is Artificial Intelligence (AI) the NEXT BIG THING? It’s a matter of discussion. There are so many questions waiting to be answered: Does AI present an opportunity or danger? Will machines take all the jobs, or create more than they destroy? Is your Online Privacy at risk? Are you being tracked all the time? Sentiments on this subject are divided, and the authenticity is likely to be somewhere in-between the two extremes. AI will continue to change the world of work, and workers will need to engage in life-long learning, developing their skills and changing jobs more often than they did in the past. © 2018 Apidel Technologies. All Rights Reserved.